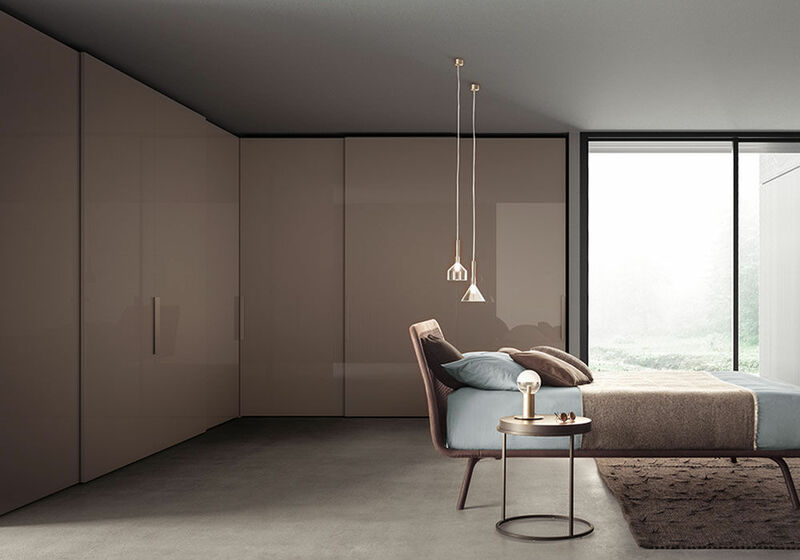 Minimalism and versatility become freedom to customise and furnish. 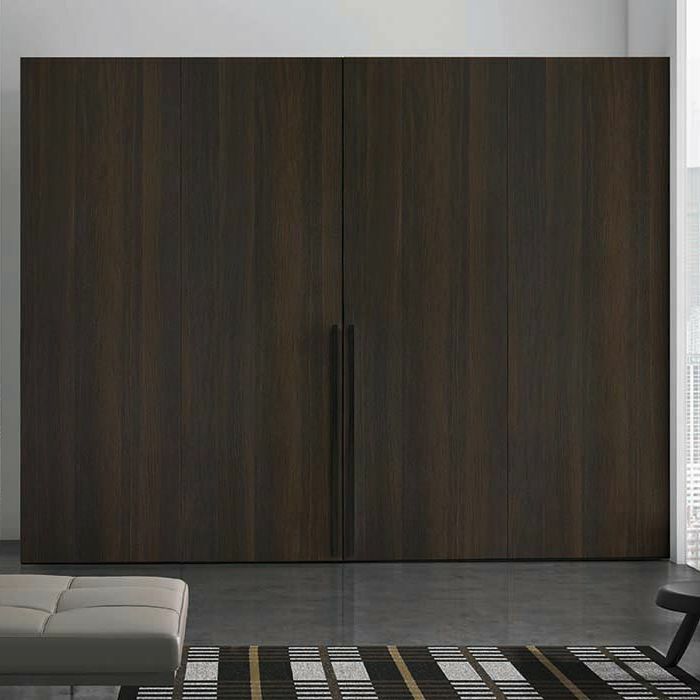 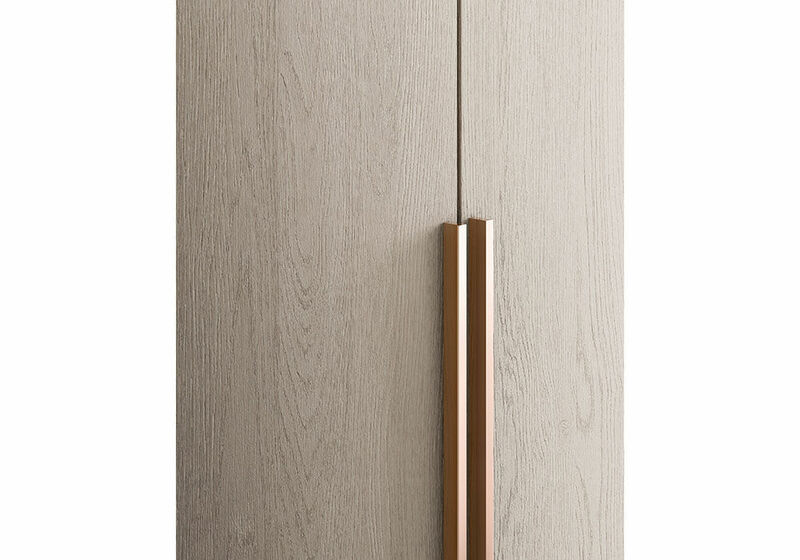 Simple, linear doors are available lacquered, in wood or textured, completed by a vast range of handles to pair with hinged, sliding and flush sliding doors. 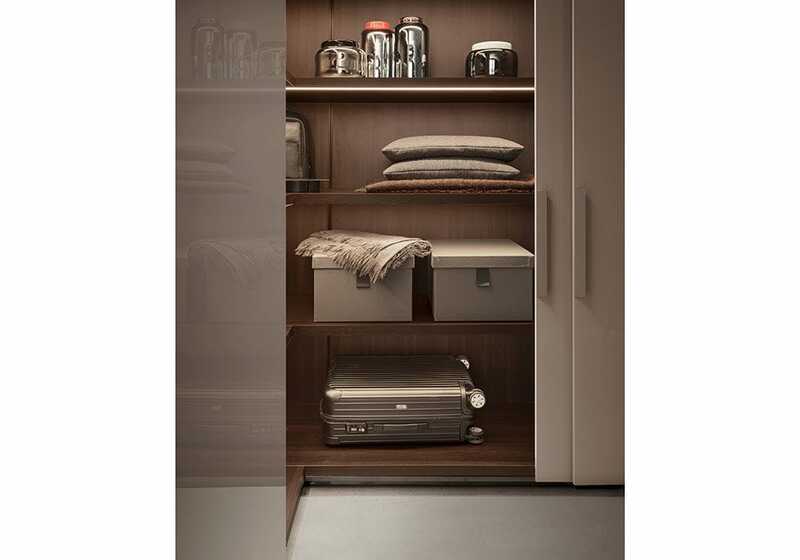 Problem-solving comes naturally to Plana that is also available in special modules: four-season units, over door modules, bridging modules with a desk or TV, modules with external drawer units, household appliances, with open modules, terminal modules and walk-in closets with folding doors. Custom-sized modules that can be fitted in any kind of space are also available.